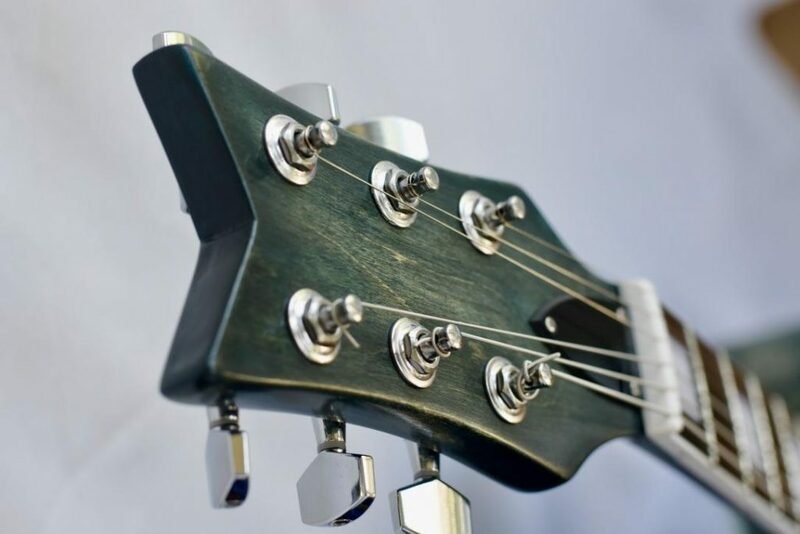 Congratulations goes out to Keith Tilley for his guitar build, to earn him Guitar of the Month for March 2019. 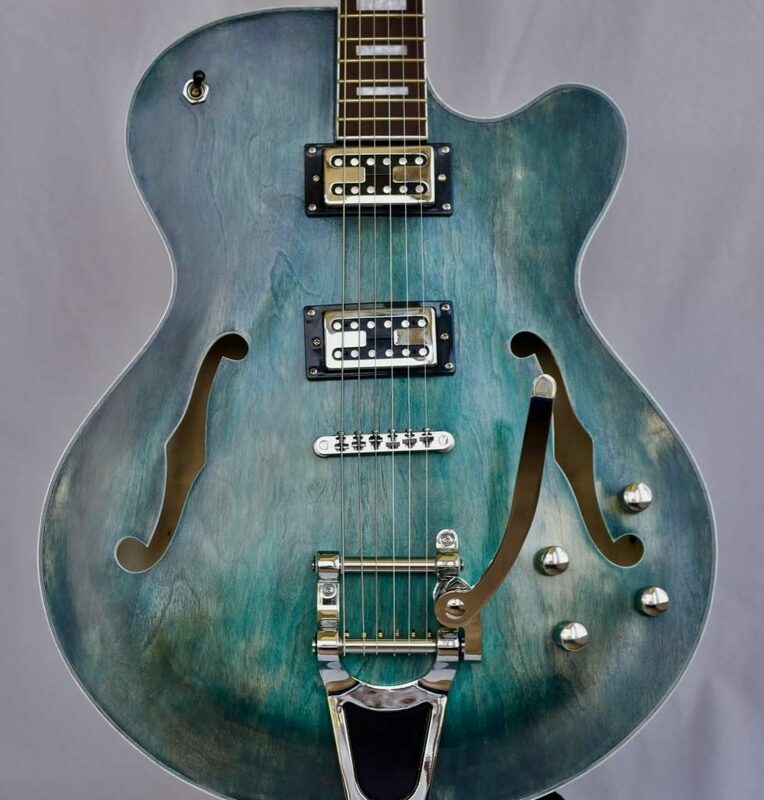 Keith used our GFK-10 DIY kit to create his guitar. 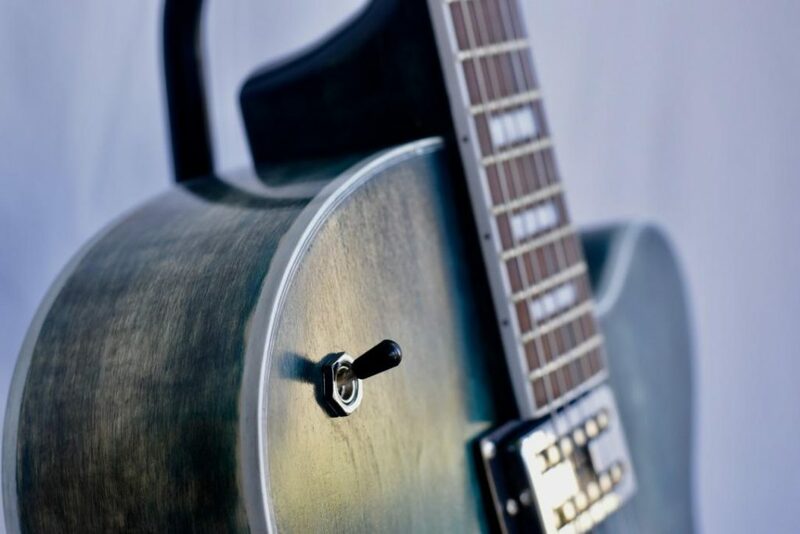 “I have been refinishing a few instruments recently to decide if I wanted to build a guitar from a kit. I found that I love working creatively with stringed instruments. 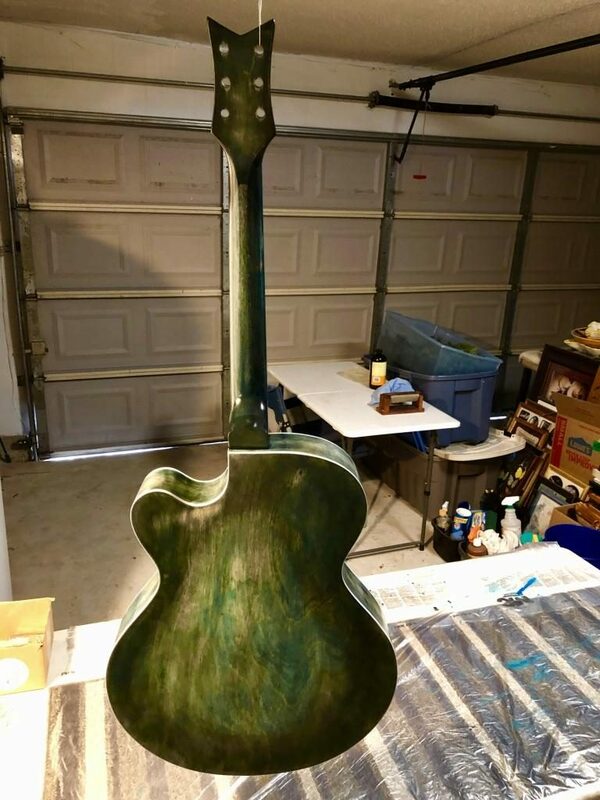 I refinished an old Baritone Uke, a Mandolin, and am currently working on an Irish Bouzouki. 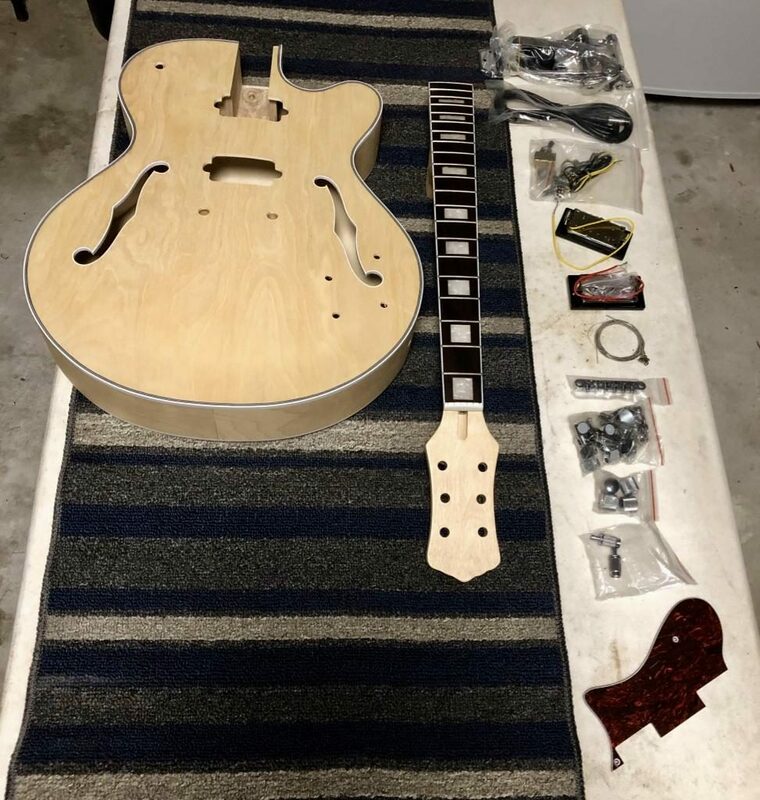 My wife surprised me at Christmas with this Arch-top Hollow Body Guitar Kit from SOLO, a GFK-10. It was beautiful right out of the box. Best Christmas gift I can remember! 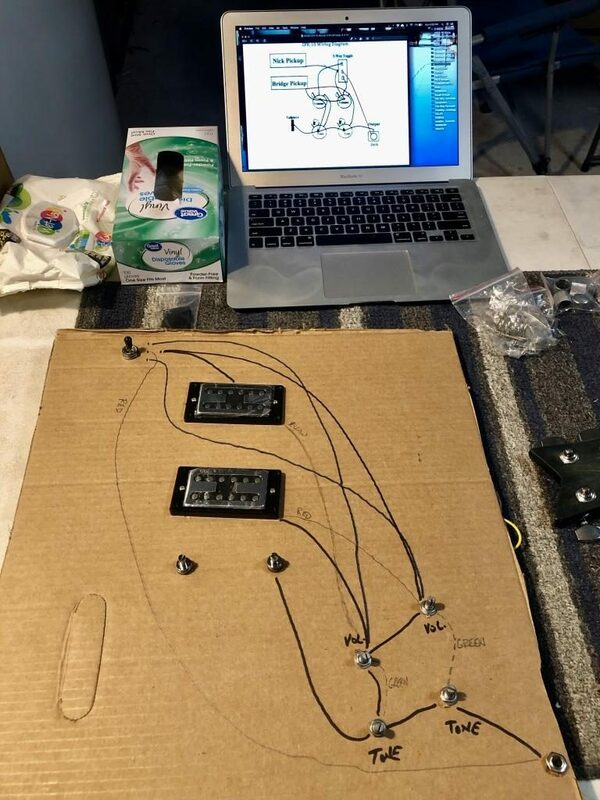 I began learning all I could about DIY Guitar Kits on YouTube and studying the unique features of Gretsch style guitars. After reshaping the headpiece, a bit, and sanding it down, I used 2 different colors of ink, black and a blue, to stain the wood. 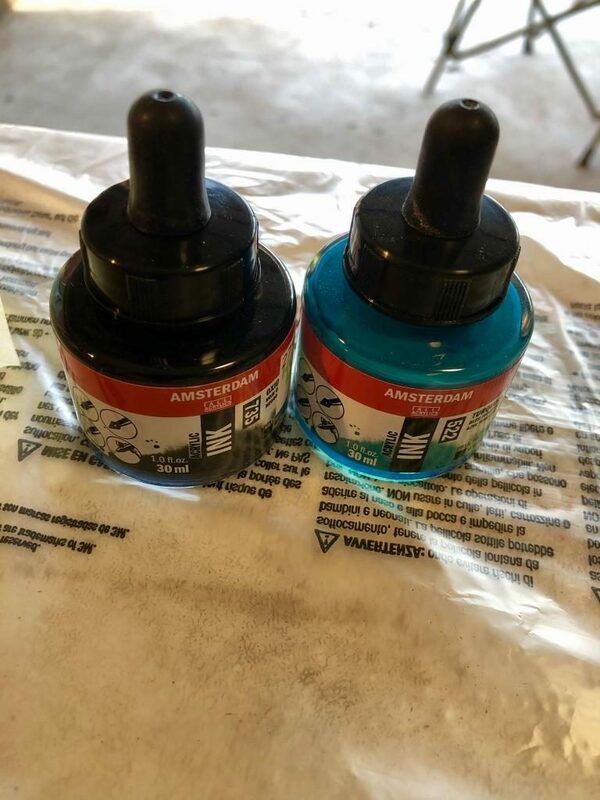 I sanded in between applications until I was satisfied with the coloring. 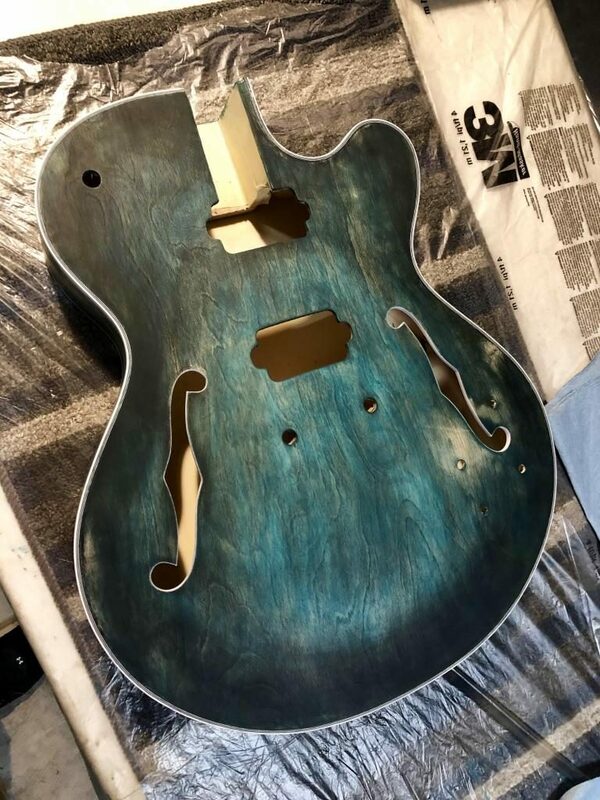 I then applied a coat of Tru-oil, glued the neck to the body, and continued with 7 more coats of Tru-oil, which really brought out the various colors. 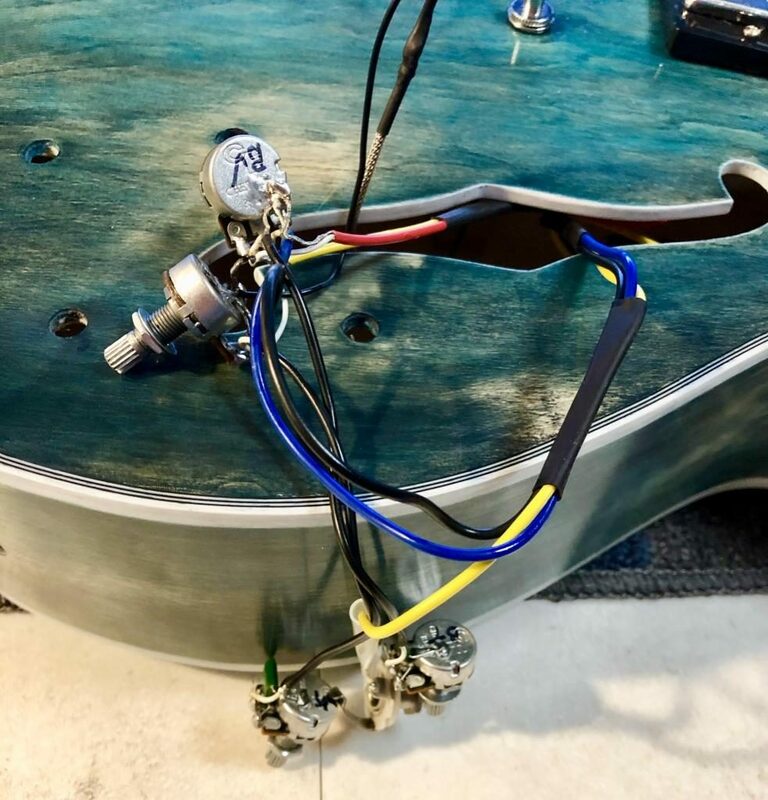 The most difficult part for me was getting the wiring right on the electronics and creating a harness that would be hidden inside the open body. 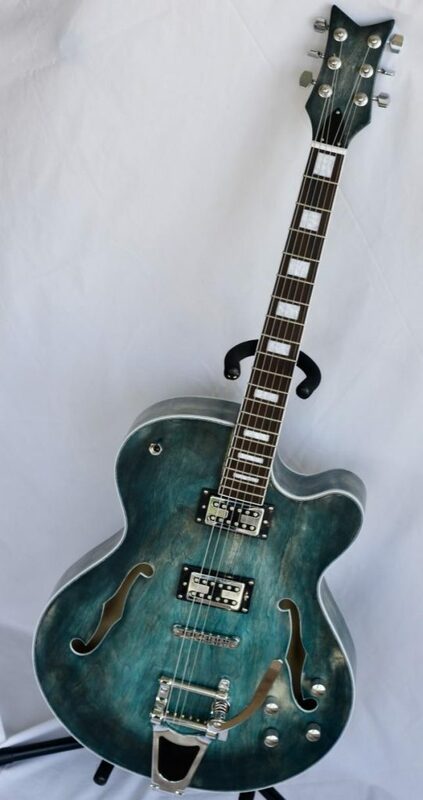 I am very pleased with the final product, it sounds great, plays great, and is a beautiful and unique guitar. 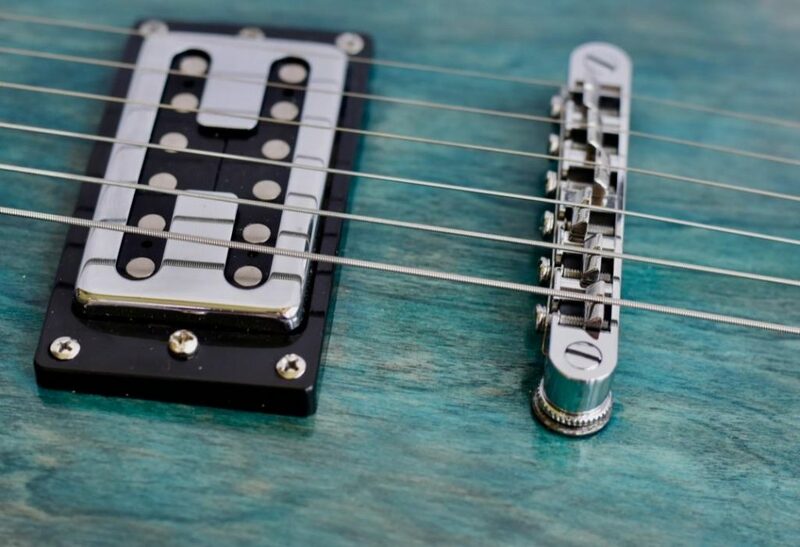 It wasn’t until after the build that I found out this style guitar is rated the most difficult to build. 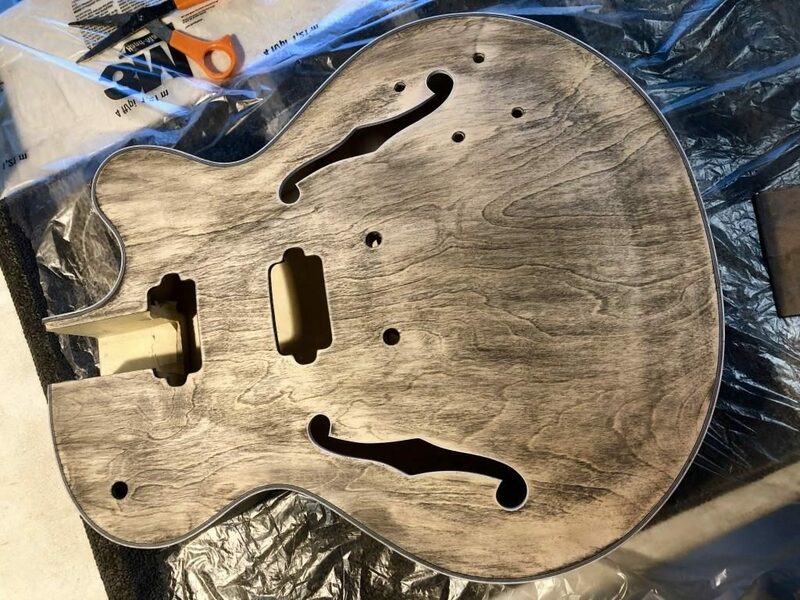 It was definitely a learning experience, and I can’t wait to build a Tele or Stratocaster next. Very pleased with the quality of this SOLO kit! Lovely, sounds like you had fun, that’s job #2.